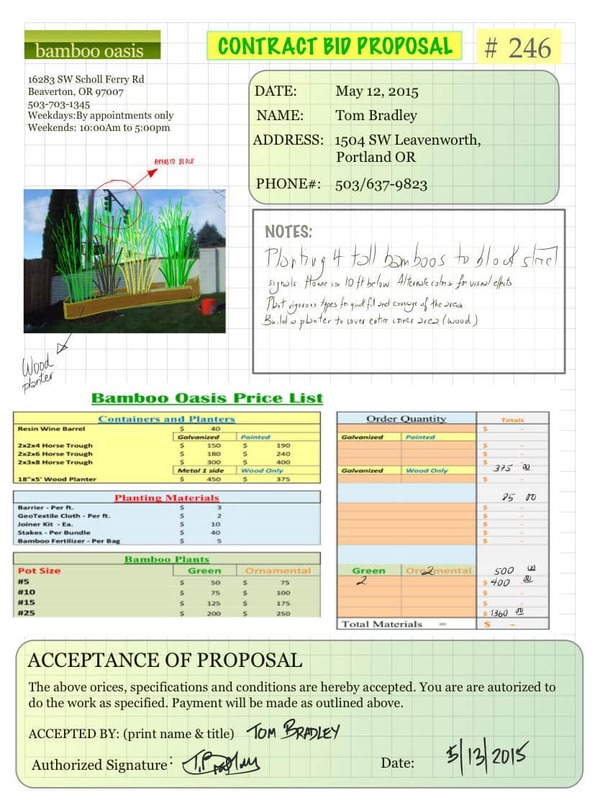 Bamboo Oasis is a bamboo nursery and landscape design company specializing in privacy hedges, residential and commercial landscaping in surrounding the area of Portland, Oregon in the USA. Their field consultant, Will Weitzer, sat down to share their experience using MetaMoJi Note (Note) in their landscape consulting business at customer sites. How did you find out about MetaMoji and Note? I have a realtor friend that uses MetaMoJi Note for property management and I was contracting to her on a project. 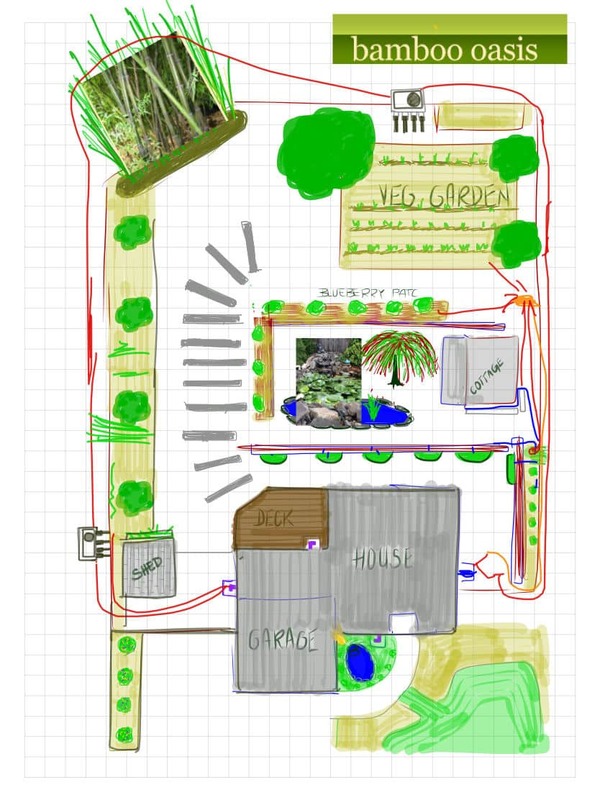 She showed me how she uses the app for PDF annotation and photo mashup and I thought maybe I could use that with our landscape design customers. We have a large bamboo farm and we sell bamboo, but the bulk of our time is spent designing and installing new landscaping for our customers which incorporates bamboo in it. I have used other note takers before, but I like MetaMoJi Note better because it’s cross platform and I can pick up my documents from my phone, iPad or laptop no matter where I am. How has Note made your business more productive? Previously it was difficult to get a customer to agree to a project proposal at the time of estimate. It took us a lot of time taking photos at their site, then going back with design layout – usually on paper, and a few examples of bamboo and our price list walking around the site and discussing changes. It has always been hard to help the customer really visualize the design idea and get them to sign right there on the spot. Now it is simple because I can have the entire transaction on my tablet. Using MetaMoJi Note has shortened our sales cycle. Using MetaMoJi Note has shortened our sales cycle. Could you share an example of how you use Note in the field? I have a client with a garden on 3 levels and several traffic lights that they want to hide. So I designed what I was going to do for them on MetaMoJi Note right there on my tablet. In an example, we had an issue with irrigation because there wasn’t a sprinkler system at the property. I had some ideas to create a circular drip system feeding out and circling back to the house. So we took several photos of the property, imported it into Note, drew directly on the photos of the actual site. We then added another page, wrote some instructions showing distances and added a drawing showing where the irrigation lines would go. It was real easy for the customer to see exactly what we were proposing and she agreed to the project. I imported our standard bid estimate document as PDF and using the handwriting feature, handwrote in special instructions, prices and estimate. The customer was able to sign it right there on the spot. It really saved me time. I emailed it directly to her and my assistant at the back office right then and there. I like that I had one place for all of our project work. It rains a lot in the Pacific Northwest and having everything safely backed up has really saved our accountant a lot of time, trying to decipher soggy sales estimates from the field. So the home office is happier with me now. Can you elaborate on efficiency improvements using Note? Well, it is definitely a more personal and collaborative process than before. Now because of MetaMoJi Note, I can communicate more easily my design vision to the customer. Also, it is a more collaborative process than before because I can show a design to a client directly at their location and personalize a bid directly on site with photos of their actual garden and the types of bamboo from our selection that will fit nicely into their landscape. It gives them instant gratification and more confidence in our ability to personalize their project. What are your favorite features in Note? The thing I like the most about Note is that it lives well in the ecosystem. I have an Android phone, and my partner has an iPhone, I also have an iPad and a PC. What’s nice is that it doesn’t matter, because I can use note to access any of them or save PDF so that anyone else can access it too. It gives me a paper trail of the estimate discussion. Do you have any other thoughts you want to share?